← Meet the Australian flying Swedish-Italian winemaker in the hills! Making good pinot is like reaching for the stars! Not only that but the pace of expansion is accelerating, with galaxies “racing away from each other at ever-increasing speeds”. A suitable wine with which to celebrate! I asked Brian – which wine does a Nobel prize winner celebrate this milestone with? It was also the first expensive wine he ever purchased, something all of us wine lovers would remember. Clearly his interest in wine has always been there. I was interested to see that the 1970 Château Montrose, from the Médoc region, placed third out of the 10 French and Californian red wines at the infamous 1976 Judgment of Paris wine competition (as featured in the movie ‘Bottleshock’). I asked – where did you learn your winemaking skills? “I mainly learned on the fly. I did a vintage in 2001 at Lark Hill” – Lark Hill are pinot noir specialists, and Brian worked with David Carpenter, who has a PhD in physics. Brian chose the hands-on approach to learning the winemaking skills, and applied his methodical and thorough mind to reading a lot of books on the subject. Being a scientist is a seriously solid basis for any winemaker. It was more the specifics he needed to pick up, and this he learned by doing. In true Aussie style, this pinot fan’s own wine label has the name Maipenrai – Thai for ‘she’ll be right’, the name given to their property by the previous owners. What a great (and somewhat ironic) name for a pinot label! “Canberra is a continental cool climate. It has the full spectrum of flavours depending on the year.” Describing the Maipenrai wines: “2008 aromatic briary; 2009 very rich, quite a bit of structure; 2010 between the 2008 and 2009; 2011 very light and fruity. Brian does not fine or filter his wine and relies entirely on natural yeasts. He and his family undertake every stage of the winemaking themselves, although he gets a team in to help with pruning, as he just doesn’t get the time to do this around his day job. The Maipenrai style? He describes the Maipenrai pinot as having fruit flavours of cherry and plum, with complex savoury characters, such as briary and forest floor. Would you consider growing whites? “Riesling is very popular in the area and we seem to have a lot of success here with riesling. In my case I am a full-time astronomer and so I wanted to concentrate on one thing and I wanted to do it as best I could and I personally find the red winemaking more interesting and challenging, whereas most types of white winemaking is pretty clinical, relatively speaking. So where can a pinotphile like myself find a bottle? “I sell to local restaurants, I have exported it in the past to the US, but with the US dollar where it is and quite frankly when you are my size, the costs of exporting it are huge and it doesn’t make it worthwhile. So mostly local restaurants and mail orders. “I have a Burgundy-sized operation, I make 250 cases a year, so it is pretty scarce. I like that though because one part of the winemaking that I misjudged – I understand the time it takes to grow grapes, make wine, but marketing is the part I grossly under-estimated. Just like the wine itself, wine marketing is a moving feast anyway isn’t it? Reviews have been published in the magazine Winewise; by Canberra Times wine reviewer Chris Shanahan; and by wine critics James Halliday and Nick Stock. What would be your picks of Australian pinot? What do you think of the New Zealand pinots? “Some of them I’ve had I am very fond of – the right Felton Roads are magnificent. Having been to that area, Central Otago, it is not dissimilar in climate to what we have here in Canberra. It is continental, it’s cool, their soils are a lot more fertile than here , the basic ideas of what they are trying to do are similar. I do like some of the Central Otago ones, they really are my style, as long as they are not too rhubarby. “At Gibbston Valley I know the winemaker, Grant Taylor, who now makes Valli, they make some good ones. The actual Gibbston Valley is very cool so I find those less ripe. Those down in Bannockburn are very ripe – I would say Bannockburn is a warmer grape-growing region then we are, plus they have this very fertile soil, so it makes a very nice compelling wine and I do like the best examples of these. Brian has visited the region and knows the intricacies of the style and the French traditions and approaches to making good Burgundy – the style he most covets. 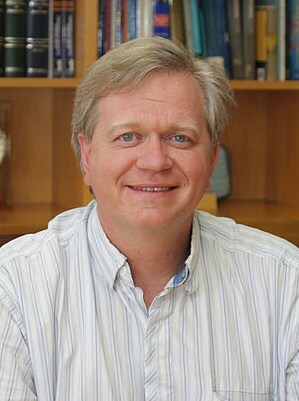 @cosmicpinot is also a foodie! Brian spent the first part of his childhood in remote mountain country in Montana, and from age 13 lived in Anchorage, Alaska, before doing his PhD at Harvard where he met his Australian wife, and moved to Australia in 1994. He grew up with hunting being part of the way of life – elk in Montana and duck and geese in Alaska. Wild duck was often on the menu after a cold, wet day of hunting, and is interestingly now his number one food match for his top Maipenrai drop. He learned to cook from the ripe old age of six and has been keen to master some tricky dishes ever since – including croissants, mozzarella and prosciutto. He has his own Beech pizza oven and Rancilio de Silvia coffee machine and has even planted 30 trees to establish his own truffière, to grow truffles for his own consumption. So Brian, do you think you will ever conquer pinot or is that half the fun? “No I know I’ll never conquer it, there is no way to conquer pinot. Thanks so much to Brian for such an enlightening and invigorating chat about a shared love – the mighty pinot noir. Wine review by Chris Shanahan — ‘Lark Hill, Maipenrai Amungula Creek, Balnaves, Majella and Peter Lehmann’, posted on 17 August 2011. Canberra Times, ‘Restless Experimenter’, 6 April 2011, by Kirsten Lawson. This entry was posted in New World wine, Pinot noir, Wine news, Wine2030 and tagged Australian wine, Brian Schmidt, Maipenrai, pinot noir, Wine, Wine2030, winemaking. Bookmark the permalink.